Professor of Inorganic Chemistry and Director of the Molecular Nanotechnology Lab at the University of Alicante, Spain. Published extensively in the areas of nanomaterials and energy and is the author of more than twenty five patents. His latest books are “Nanotechnology for the Energy Challenge” (Wiley, 2010), “The Chemical Element” (Wiley, 2011), “Chemistry Education” (Wiley 2014), and “Mesoporous Zeolites” (Wiley 2015) Co-founder and Chief Scientist of Rive Technology Inc (Boston, MA), a VC-funded MIT spin-off commercializing hierarchical zeolites for diffusion-limited applications. Rive’s proprietary technology improves traditional zeolite catalysts and adsorbents through the introduction of broad channels, or molecular highways, which overcome the diffusion limits of these materials, leading to better yields, process efficiency and process economics. Recognized as a leader in nanotechnology and materials science. In 2005, Javier was awarded the Europa Medal, awarded annually to the outstanding European chemist under the age of 35, and he received the Silver Medal of the European Young Chemist Award in 2006. 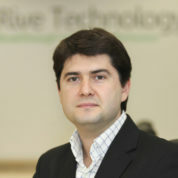 In 2007, Javier received the TR 35 Award from MIT’s Technology Review magazine. In 2014, Javier received the Rey Jaime I award and in 2015 the Emerging Research Award by the American Chemical Society. Since 2010, he is member of the Council on Emerging Technologies of the World Economic Forum, which recognized him as Young Global Leader. Javier is Fellow of the Royal Society of Chemistry, member of the Global Young Academy and Bureau member of the International Union for Pure and Applied Chemistry. Of everything I do, teaching is not only the most important. There is no more profound and fruitful relationship than that between a teacher and his/her students.